Matt Walsh ... The D.A. Michael Bluth: A date? But we had plans to... A date with who? Maeby Fünke: Some girl. I mean, she barely has a face. You couldn't pick her out of a lineup of one. Michael Bluth has patiently waiting for over ten years to take over from his father at the head of the family business. The rest of his siblings have never expressed an interest in the business that extends beyond feathering their nests off the expense accounts. So naturally it is a shock when his father announces he is stepping aside for his wife Lucille  although this shock is perhaps secondary to that felt when the police swoop to arrest George Senior for defrauding his investors for decades. Although Michael wants to cut and run, he is convinced to stay and take over the company, which is a lot easier than the bigger challenge of trying to manage his extremely dysfunctional family. I missed this show when it was first screened so I took the opportunity to record season 1 when it was repeated, all in a rush, in the middle of the night on BBC2. I wasn't sure quite what it was going to be like but the line "the man can barely use out shredder" pretty much hooked me. From that episode onwards I loved it. Well, let me reel that praise back in just in case readers tune in expecting to be rolling in the aisles throughout, because it is not like that, it is better. Throughout each episode every second is touched with this wonderfully witty feel that meant I was amused by almost all of it, even if there were only (only!?) five or six big laughs in each episode. The plots are compact and really well delivered; it reminded me of The Simpsons at its best in the way that the episodes did seem to waste even a second of the 20 odd minutes that each episode runs for  in this case it goes right down to the wire, with the regularly hilarious "next on Arrested Development" asides. The characters are wonderful and are hilarious without ever being really silly. How this is achieved is all done to the writing, which not only keeps strong characters but also produces consistently great dialogues. It is not that I found there to be loads of quotable one-liners, but rather that the dialogue is just consistently sharp and on-the-money. 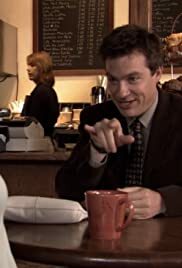 An example is Gob's advice to Michael "do the right thing here  string this blind girl along so dad doesn't have to pay his debt to society" but there are countless great lines throughout the show. The writing is strong but it was the delivery that made it work as everyone has great timing. Bateman has the hardest role of leading the cast in a comparative "straight" role but he is well served and his delivery is near faultless. Arnett's wonderful Gob steals most of his scenes and his delivery is fantastically absurd. De Rossi is attractive and funny and works well with Cross, who, like Arnett delivers a great performance in a strange character. Cera and Shawkat do well in smaller roles  the former specifically showing good timing. Tambor and Walter are excellent value and I did also enjoy Hale's repressed Buster. Howard is enjoyable as narrator, which is a god device that is well used to comedic effect. The special guests are fun with Louis-Dreyfus, Minnelli, Winkler (who has a great Fonz moment that is just delivered and quickly moved passed) and Velasquez (who is much prettier than Varela) all doing good work. Overall then a great sitcom that is imaginative and funny. The downsides are that it does require you to watch regularly to get all the jokes and the humour will not be to everyone's taste but for my money it was regularly hilarious, consistently amusing, really well written and delivered with good timing with hardly a second wasted. Of course the plots are contrived but when they are as entertaining and funny as they are, it is hard to really list that as a failing.